← Two new patterns in Knitscene Accessories!! I’ve been in a somewhat urban frame of mind since our weekend in New York. 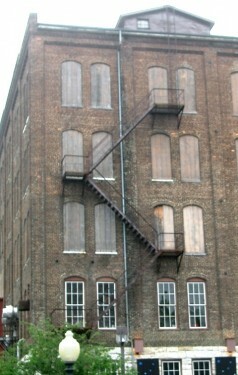 Walking on pavement for miles and seeing buildings with metal fire escapes zig-zagging along their walls. At Knitty City (see how even the shop’s name is urban!) I bought one skein of Schoppel-Wolle Gradient. On the train I cast on for a cowl, not quite sure what would emerge. Quickly I realized that the stitch texture looked like fire escapes. Hence, the Fire Escape Cowl. 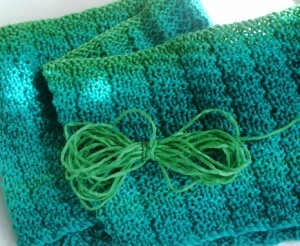 It is a simple cowl to knit. The color-changing yarn means it will not look simple. Don’t we all love designs that look like we have gone to a great deal more trouble than we actually did? I like the way Fire Escape Cowl looks in one loop and also doubled. Even when the so-called wrong side shows, its texture looks good, too. Blame the wind for the lovely model’s hair. The day we photographed was one of the windiest of the season. Surprisingly for late spring, wearing a wool cowl was a welcome experience. 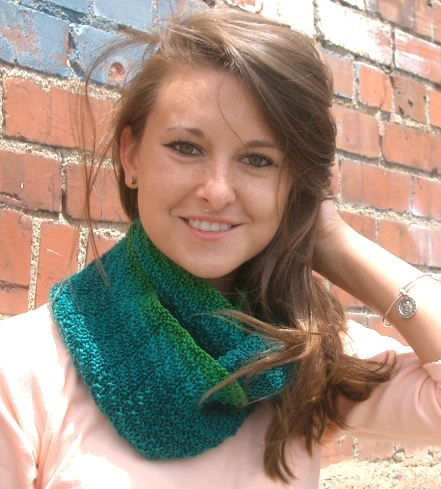 This is a cowl that can be knitted from one and only one skein of yarn. That said, after binding off I had only very little left over. A frugal design! Only 5 yards of yarn remain! The pattern is on Ravelry. 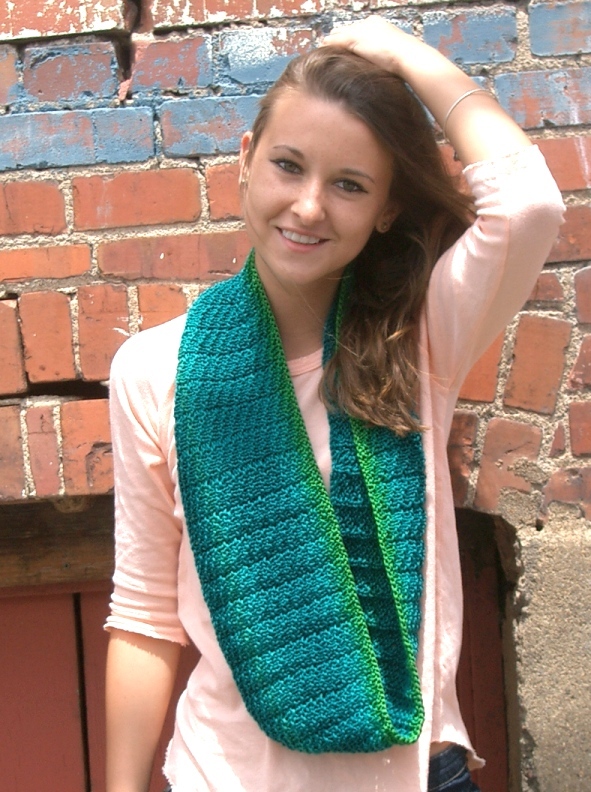 This entry was posted in knitting, pattern and tagged Fire Escape Cowl, one-skein. Bookmark the permalink.